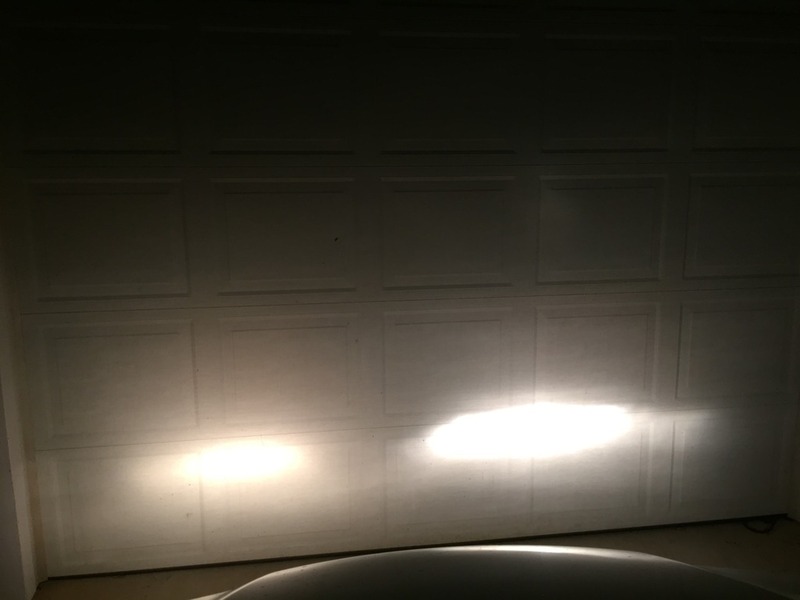 I have had a couple of S70 and V70's where the headlights were very dim, and the problem was the reflector. I did a little research on this yesterday and I decided to try to fix them using Monokote Trim Chrome from the hobby shop. For $3, it's the cheapest fix, and being peel-n-stick, it's probably the easiest, and being about as reflective as a mirror, it has a good chance of being the best as well. I just did one headlight so I could compare (so far). I was shocked. I think I have about 10X the light. I will have to post some pictures. This stuff is sticky back mylar, so it'll be interesting to see if it peels off or crumbles to dust and when. Last edited by firebirdparts; 04-30-2016 at 09:19 PM. This picture does not really do it justice. I think I have about 10 times more light on the "good" one. I was thinking about doing the other headlight with aluminum duct tape, but I found the roll I had was not the shiny kind. So I have done the rest of the headlights with the Monokote mylar. I guess I'll report back in a year or when it peels off. $3 worth is enough to do all 4 headlights. Wow......Definitely see the difference. Please let us know how it holds up!! I would post a picture of my sticker work, but it looks like a first grader did it. Well, here's an update. I meant to check in after 1 years, but now it's been 2. This is working great. I can still clearly see the cut line, and both bulbs have a little bright spot of focus which approximately intersects on the surface of the road on dim. I don't see any deterioration at all. I will pull the lenses off and inspect and let you all know how it looks. 3 volts on my 1 year old battery and crummy starts.